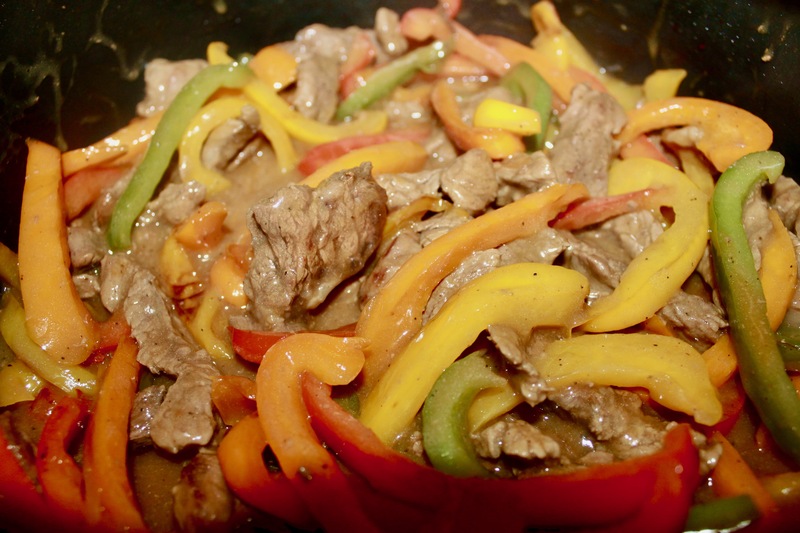 This Pepper steak recipe is the most savory one that you will ever find. Over the years I have experimented with this recipe, I’ve used different cuts of meat and various seasonings. However, I feel like I have finally created the most savory and easiest pepper steak recipe. 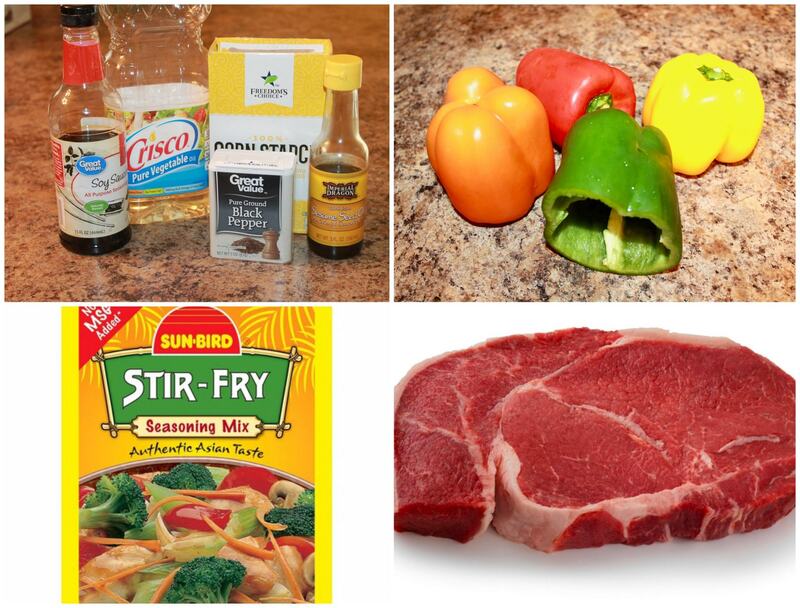 Pepper steak, is a beef stir fry that uses fresh peppers, soy sauce, and sesame seed oil. It’s such a colorful dish and I absolutely love colorful dishes. If you love colorful meals as much as I do then, you will love my recipe for a colorful and zesty pasta salad, which can be found here. I’m currently planning my third annual Christmas party, which means I also have to plan a fabulous menu. Everyone knows that if the food isn’t wonderful, then the party is an epic failure. I served this dish at my first Christmas party and it was a hit. Since I haven’t posted a recipe in a while I thought this would be a great one to share. It’s a quick, easy, and absolutely delicious dish. So keep reading for the step-by-step recipe, and the savory finished product. As always before I begin cooking anything, I have my list of ingredients ready. 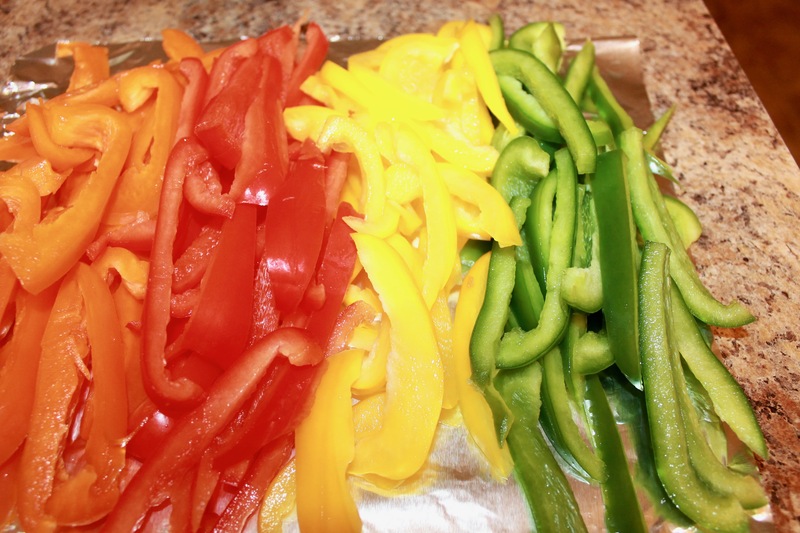 What color bell peppers should I use? 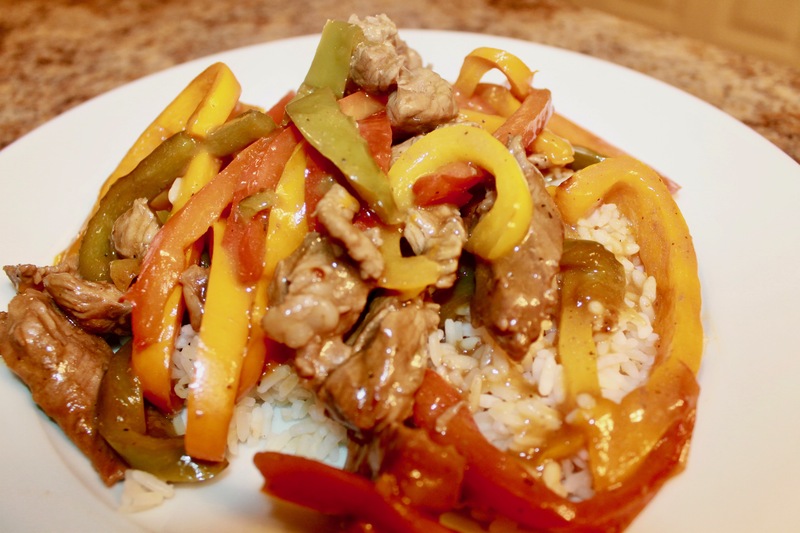 You can use whatever color bell peppers that you like, however just know that the different color bell peppers truly enhance the flavor of this pepper steak recipe. The red bell peppers, are the ripest and the sweetest of all the peppers. 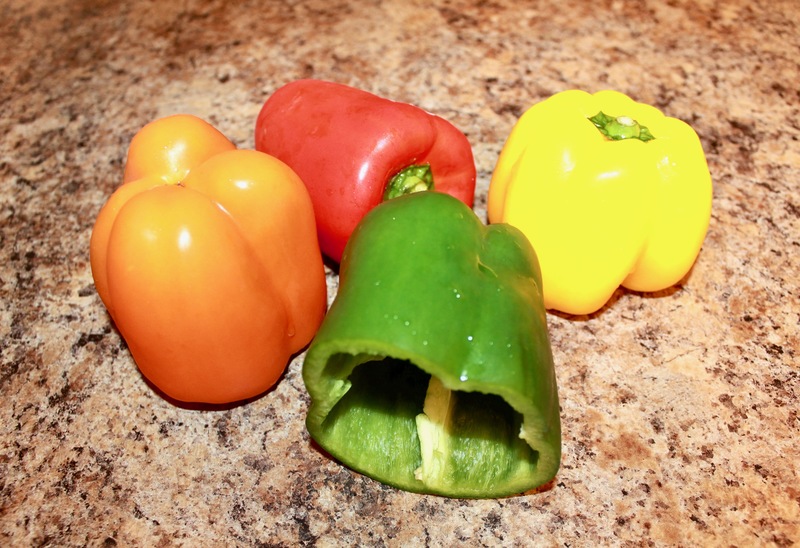 The yellow and orange peppers are in between in their ripeness; the green peppers are not ripe and are less sweet and more bitter in comparison to the other peppers. 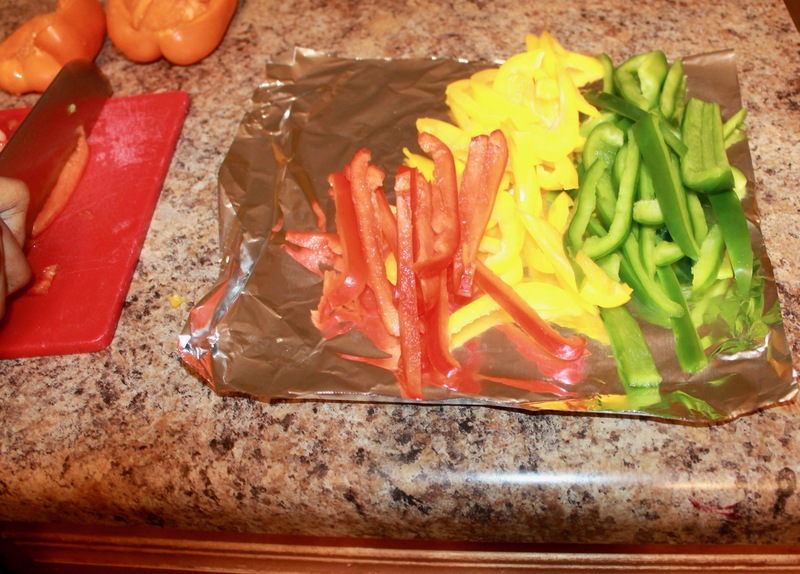 I personally love for my Pepper Steak dish to be colorful, therefore I use red, orange, yellow, and green bell peppers. Always remember to wash and dry your peppers. I like to cut them in half, it just makes it easier to thinly slice and clean them. I begin to cut them on my cutting board and once I’m finished I set them aside on a piece of a foil. 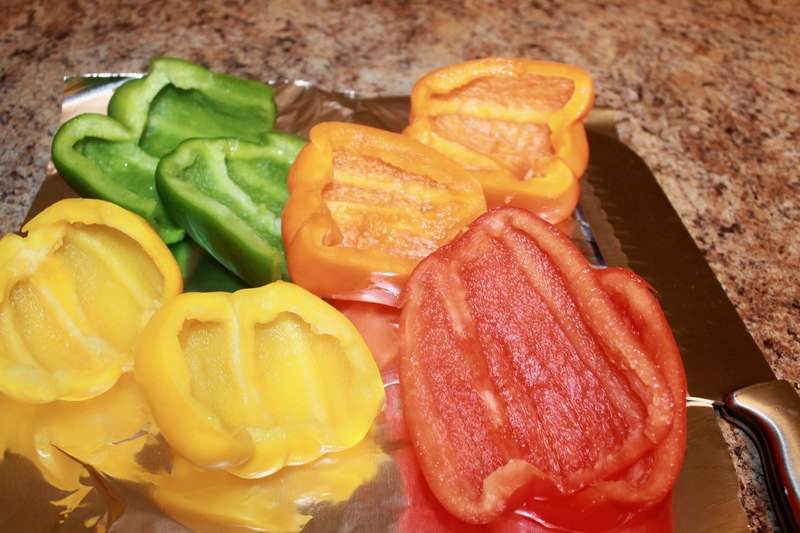 After you’ve set aside your cut bell peppers, you will need to add 2 or 3 tablespoons of vegetable oil for your steak in a pan. 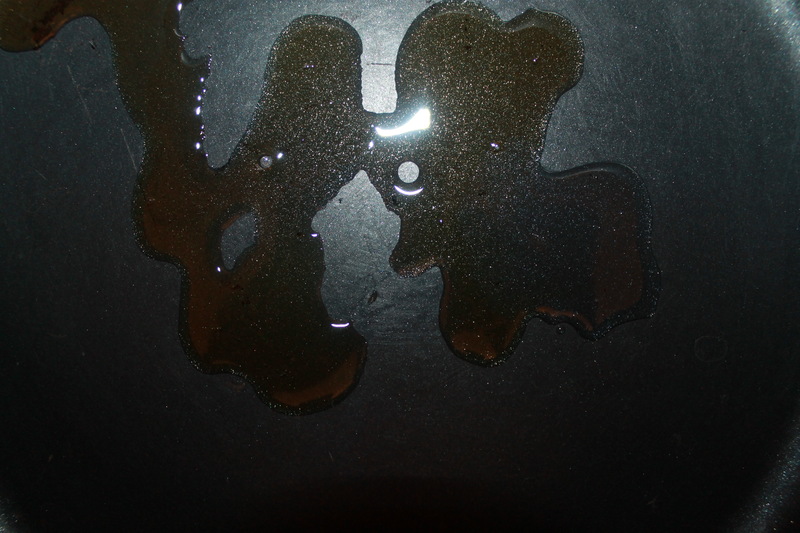 You should set your stove to medium heat, and wait for the oil to heat up. 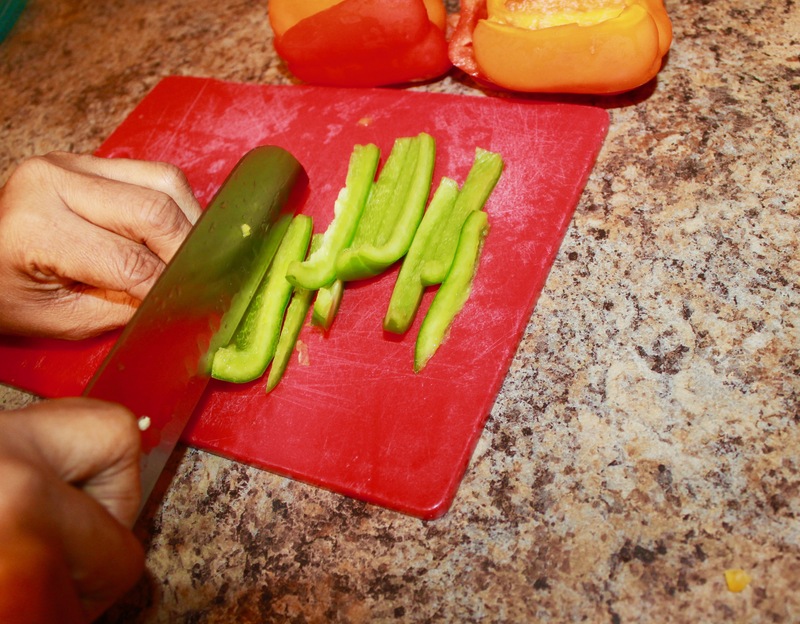 What’s the best steak to use for a Pepper Steak Recipe? I always use a top sirloin steak when I make pepper steak, because it’s a lean cut of meat. All of the bone, the tenderloin, and the bottom round muscles have been removed. 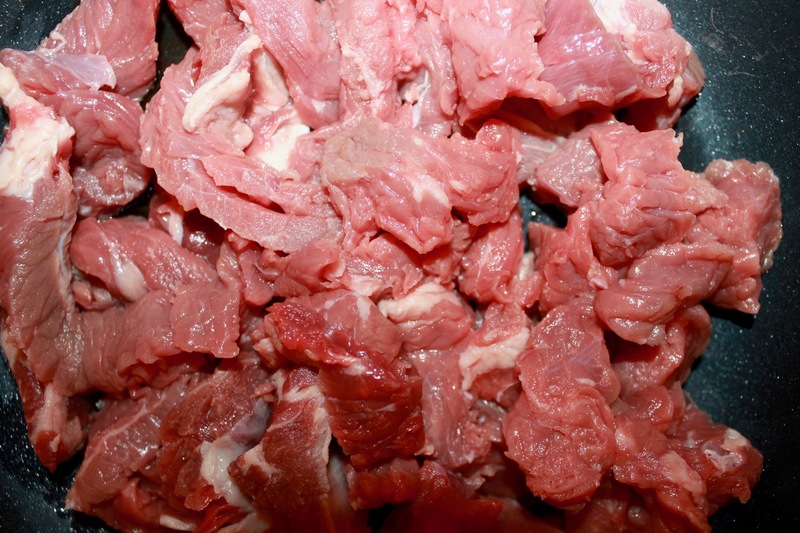 Which means that it’s easily cut or sliced into smaller pieces. 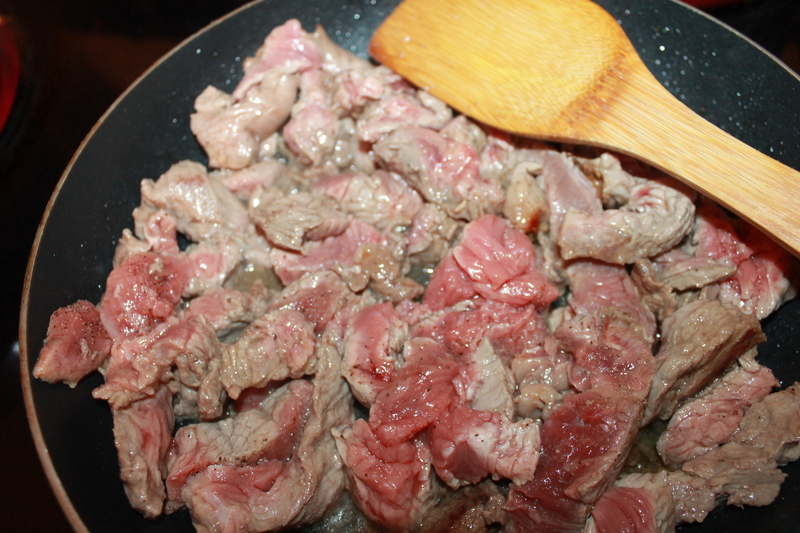 Since pepper steak is a stir-fry, you will want your steak to be thinly sliced. In another sauce pan, I add black pepper and sesame oil to my peppers. 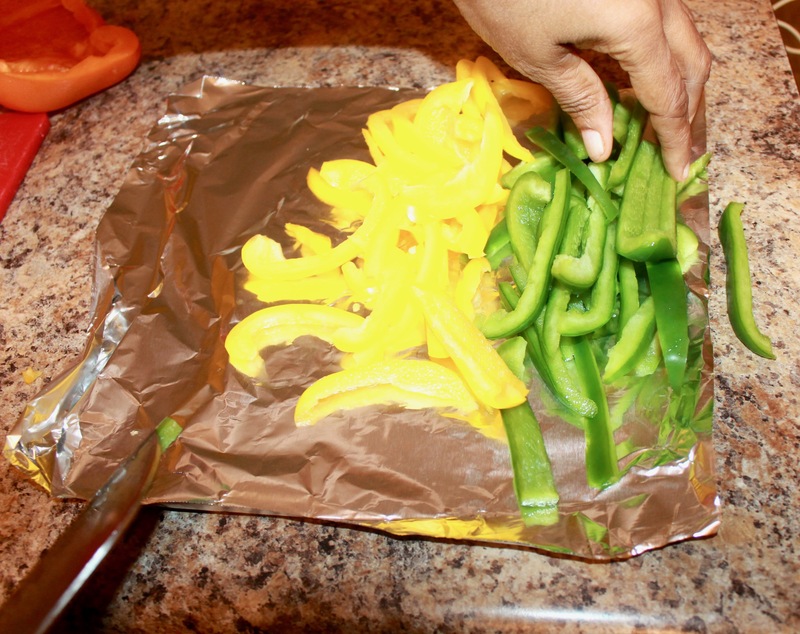 I toss my peppers around on a medium heat until fork tender. When my peppers are done, I set them aside off the heat. 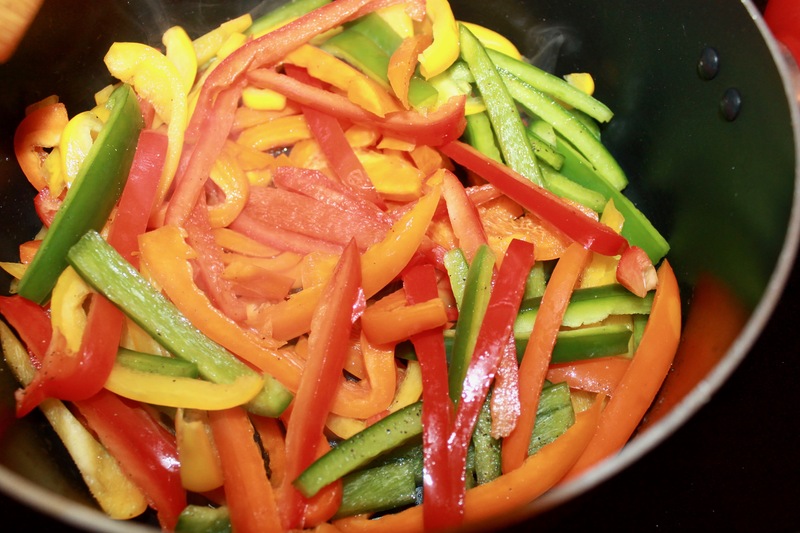 Then, I begin to add my meat in with my cooked peppers. 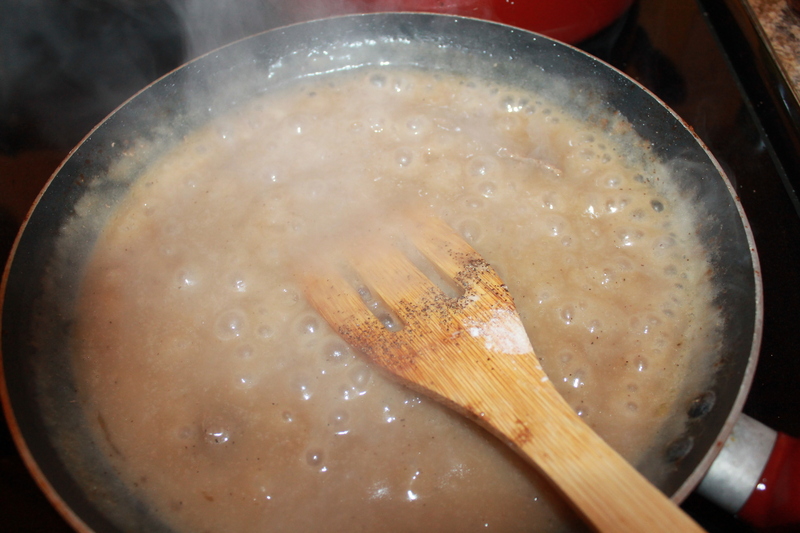 In a pan I add 2 tablespoons of cornstarch to my sauce, just to thicken it. 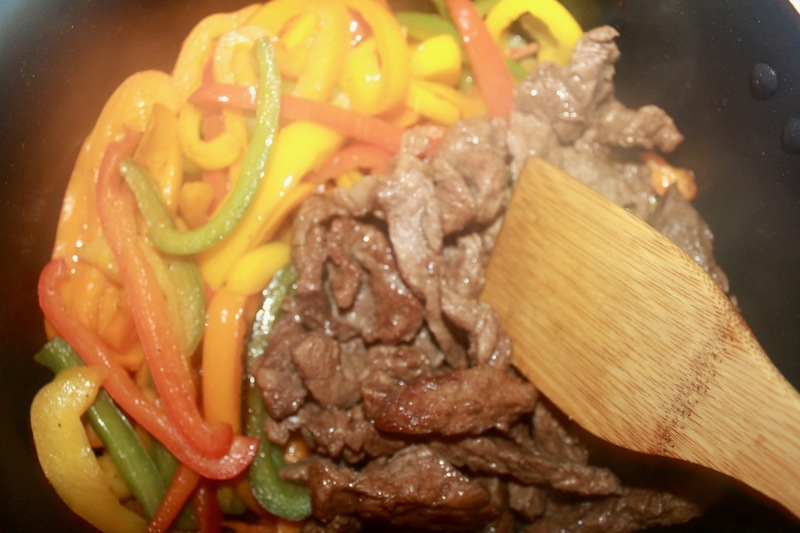 I pour my thickened sauce over my steak and peppers and allow them to simmer for about 5-10 minutes on medium heat. As I mentioned earlier this recipe is so quick, easy, and delicious, it’s also a low-calorie dish. I like to serve it over white rice, but if you’re trying to be more health conscious you can substitute brown rice or quinoa. Hope y’all enjoy this delicious and savory dish!